Their original name is HADZABE OR TINDIGA but they are also known as “bushmen” because they live in the forest. As one believes, they live in Tanzania for about 10.000 years and in this moment they are about 3.000 bosquimanos approximately in the whole country. 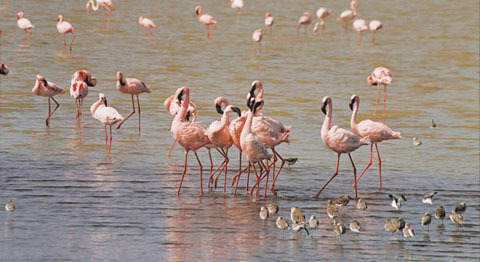 Before they lived in the high mountains of the Area of Conservation of Ngorongoro but now they are usually in the surroundings of the lake Eyasi. Their language resembles the languages of click of the bushmen in the south of the kalahari. They are monogamous and they usually live in small family. Most of them have never visited the doctor neither gone to the school. They build their houses with branches, like an igloo, and cover them with skins of animals, and during the rainy season they move to the caves in the mountains. They are very kind with the tourists because they like to show their way of life, which they feel very proud. Datoga is the original name of the Mangati, word Masai that means strong” “enemies since they are old enemies of the Masai. They live off the cattle raising and of the cultivation mainly although they are also hunters. They take care of flocks of cows and goats, they use donkeys for the transport and they cultivate Jews and corn among other..
Their basic feeding consists on meat, pasta of corn, Jews, milk, and during the parties they make traditional alcohol of honey. 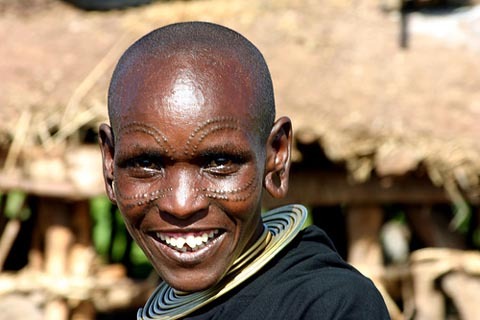 The same as the Masai, is polygamous, so a man usually marries several women. In a wedding mangati, the party begins one week before the wedding and it finishes later one week. During the party they kill five cows and several goats and those the women they make a lot of traditional alcohol of honey. When the family head dies they make a similar party and they almost dance on the deceased’s tomb the whole night. They build their houses with sticks, sand and cow manure. the roof is also with mud, contrary to other tribes that roof its houses with grasses. Inside the house there are two or three rooms. The room of the parents has a small window so that they pass the light and the smoke and two beds made with cow skin or of goat and trunks. Their dresses, facts with skin of animals, are very attractive and they are adorned the body with necklaces. Other tribes live in this area are the Iraqw, Masai and groups of bantu.